You may have heard me talk about Swagbucks. Like, a lot. 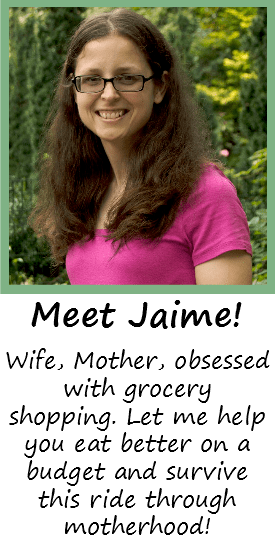 It helped us pay for groceries during rough patches and lets me purchase little things for Allison. It’s been pretty easy to earn between $25-$50 a month in gift cards, but recently I just haven’t had time to sit and do surveys, which seem to give the most Swagbucks. I’ve been looking for ways to maximize my earnings while keeping the time commitment low, and I found 5 little ways to earn extra Swagbucks during the day. See if you already do any of these! This is one of the easiest ways to earn extra Swagbucks, in my opinion. 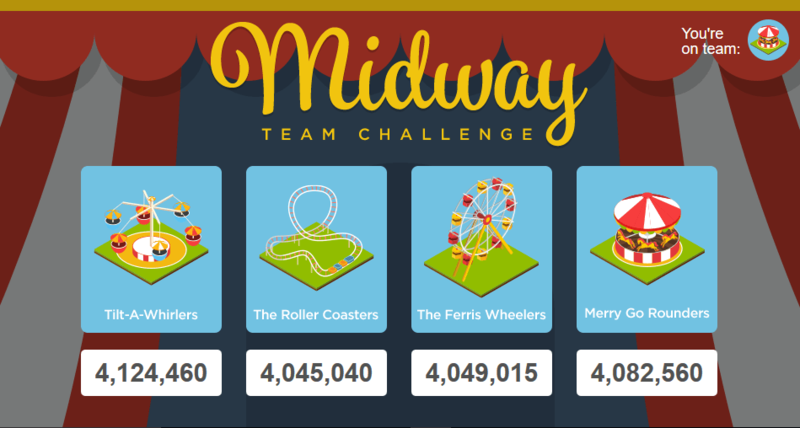 About once a month or so, Swagbucks issues a team challenge, where you try to earn as many points for your team as possible. The team with the most points at the end wins a few Swagbucks, either straight up or in the form of a Swag-Up, which is a small rebate you get after you redeem a gift card. Everybody wins at least something, with first place getting around 50-100 Swagbucks. You get points for the different things you do on the site: Taking surveys, watching videos, doing the special offers… it’s like getting extra Swagbucks for doing what you normally do! I try to take part of the team challenges as often as I can. Swagbucks rewards you for referring members, and to sweeten the deal, they offer an amazing incentive each month. If you refer somebody and they earn 300 Swagbucks in that month (Super easy to do if you follow my tips), you BOTH get a 300 Swagbuck bonus. This does require a little effort because you actually have to get people to join, but if you leave your referral link everywhere, you’re bound to get at least a few sign-ups. 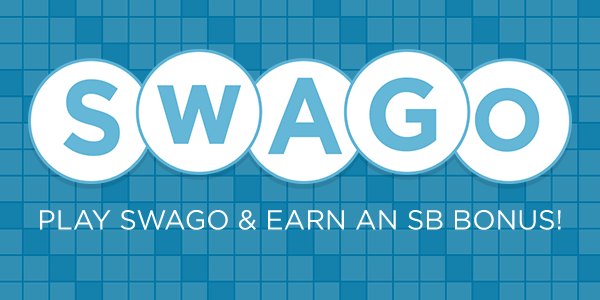 Swago is Swagbucks’ version of Bingo. You have a board with different activities on it, and as you complete them the boxes go dark. You can get a small amount of Swagbucks for only completing one line, but the big bonus comes if you fill the whole board. That can be hard to do, as some boards require you to refer somebody or make a purchase on a website. Anything is better than nothing, though, so make sure you activate your board whenever a new one comes out! Swagbucks likes to change up their to-do list every so often. Right now they have a list of activities to complete every day, and you only need to do 6 out of 7 to receive a 3-5 Swagbuck bonus. 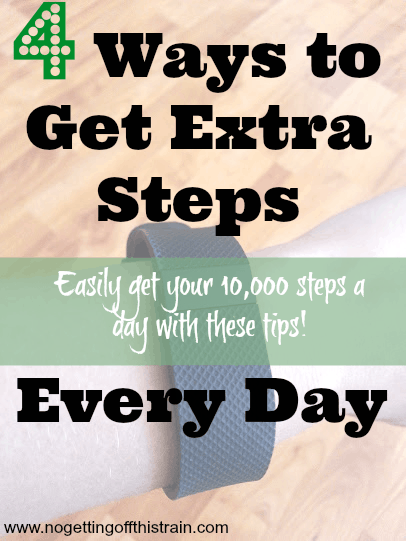 The activities are things you probably do every day on the site; take the Daily Poll, watch a video, do an nCrave… If you complete it every day, you rack up an extra 90-ish Swagbucks every month! These are probably my favorites and I take advantage when I can. On certain weeks Swagbucks will double the amount you earn on their mobile apps; there are 5 different apps, so each day of the work week one of the apps will be doubled. And that includes bonus rounds, so once you hit the max of 10/20 Swagbucks, your app has a chance to go into a bonus round to continue to earn more Swagbucks! 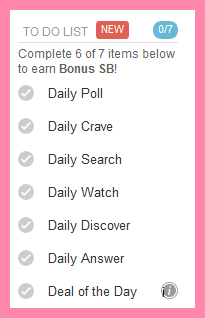 The amount of bonus rounds is random; sometimes I don’t get any, and sometimes I can get up to 100 extra Swagbucks a day from them. I’ve also seen the nCrave videos earn double Swagbucks! Those don’t happen as often, but always keep an eye out. nCrave videos are a good way to earn Swagbucks; some of them, the ones with circles on the pictures, play automatically, so it’s easy to just let them play! There are always at least a few of these going on at any given time, so make sure you pay attention to the Swagbucks blog to keep up with updates. If you still haven’t signed up for Swagbucks, do so here and start earning today! Share in the comments below any other tips you might have! I love Swagbucks. I tend to be stuck at around 25 dollars a month but I don’t really do the surveys. A lot of my points come from the shop to earn feature. Last month I bought a printer from walmart and got almost 20 dollars!